Product prices and availability are accurate as of 2019-04-20 08:51:04 UTC and are subject to change. Any price and availability information displayed on http://www.amazon.com/ at the time of purchase will apply to the purchase of this product. 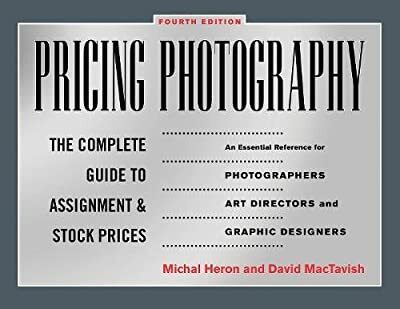 Written by successful freelance photographers, this classic trade reference tool provides photographers with a wealth of time-tested information on everything from estimating prices, identifying pricing factors, and negotiating fair deals. Topics discussed include practical information on the economics of photography, cutting-edge negotiation techniques, pricing guidance for photography buyers, how to structure prices to fit any type of market and usage, how to define prices in a way that guarantees long-term profitability, and the specifics of pricing electronic media. A must-have addition to every photographer’s bookshelf.